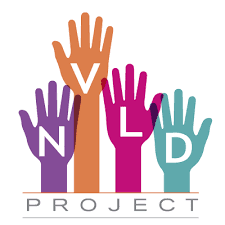 We recently learned of the NVLD Project, founded in 2013 by Dr. Laura Lemle, whose daughter was diagnosed with a non-verbal learning disability (NVLD) when she was five years old. Dr. Lemle, now in the real estate business, has a PhD in clinical psychology. This nonprofit organization offers informational workshops, supports research, and has a blog where an array of writers share their knowledge and experiences with NVLD. Long term, the NVLD Project seeks to have NVLD included as a specific disorder in the Diagnostic and Statistical Manual of Mental Disorders (DSM), the "bible" of medical diagnostics developed by the American Psychiatric Association. The NVLD Project notes that such recognition "will allow people who have NVLD to be covered for clinical care and it will foster more rigorous empirical research on the causes of and best treatments for NVLD." So what, exactly, is a non-verbal learning disability? First, it involves a significant discrepancy between verbal and perceptual reasoning abilities, where the individual has strong abilities in such verbal realms as reading, vocabulary, and memory, but struggles with spatial, mathematical, and certain "big picture" tasks. In addition, organization, executive functions, and social skills can be areas of difficulty. An extensive discussion of the components of a non-verbal learning disability is set forth on the Project NVLD website. The difficulties that characterize NVLD can be present in other learning and social disabilities, and distinguishing among the various labels for disorders may be less important than understanding the strengths and difficulties faced by each individual and developing specific strategies and supports to build on his or her strengths and to bypass or improve challenges. Still, understanding NVLD and researching why and how NVLD arises is an important first step to remediating this constellation of difficulties. Likewise, supports for individuals and families dealing with NVLD can be extremely helpful.